Whether you need to start a wardrobe from scratch, or you’re looking to rebuild your pre-existing wardrobe, UNIQLO reveals its vibrant 2018 Spring/Summer collection of jeans and tops that easily become the building blocks of your new year look. Rooted in the brand’s LifeWear philosophy, each piece of clothing from the new collections are made with the best fit and fabrics to bring better comfort to Filipinos. 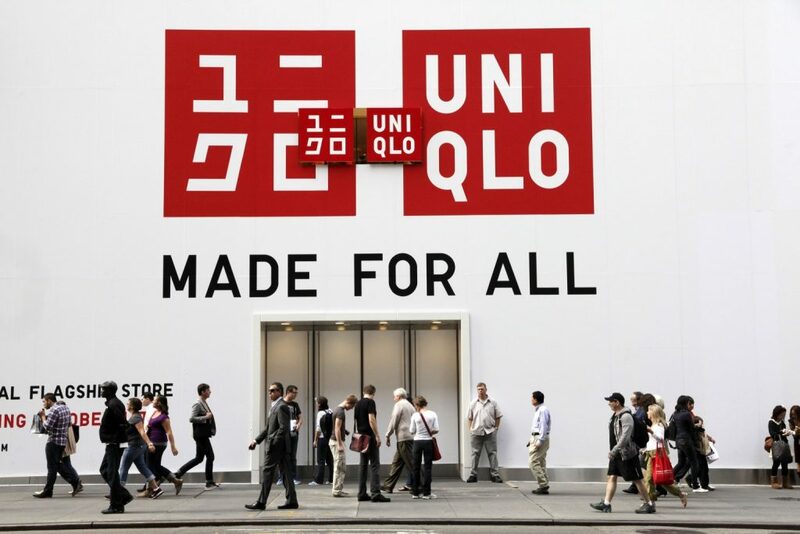 More than just a fashion statement, UNIQLO pays extra attention to functionality with various designs and styles to suit different kinds of lifestyles. Well-fitting jeans have always been a staple in everyone’s closet, but adding a touch of color lends the piece an on-trend appeal–available in new season colorways are the Men’s Stretch Skinny Fit Tapered Jeans and Women’s Cigarette Jeans. Apart from new colors, updates include a new feminine fit for the Women’s Slim Boyfriend Ankle Length Jeans. The EZY jeans are also refreshed this season with improved comfort. Versatile as they are, the new season’s blouses offer a variety of clean and casual dressing options that easily transition from work to play or vice versa. Ideal for mixing and matching, choose from UNIQLO’s latest collections of Jeans and Blouses for women to get the look that fits your individual style. A feminine style essential, these skinny-fit jeans are form-fitting and are ideal for casual weekends. Tastefully colored, each pair is carefully processed to bring out the best of each color. Let your wardrobe beam with elegance with the Women’s Drape Blouse. Highlighted by an attractive drape, the deeper v-neck design frames and flatters the collarbone for a more feminine form. UNIQLO’s no-fuss EZY Jeans are the ideal match for women who are always on the move. It features a drawstring elastic waist which allows for trouble-free adjustments. A light and easy top, the Women’s Easy Care Long Sleeve Blouse is designed with a pajama collar for a trendy touch. This item is made from 100% premium extra-fine cotton for a feather-like feel perfect for women who like to stay comfortable while staying stylish. Look neat and polished at the office with the Smart Style Ankle Length Pants. The narrow tapered cuffs produce a sleek outline and the rayon material emanates a tasteful draped style. Add drama to your work attire with the pleated details of the Easy Care 2-Way Cache Coeur Long Sleeve Blouse. The top features a wrap-like crossover design. Cropped for a neat and casual style, the Color Skinny Fit Ankle Jeans work well for lazy days in town. Featuring a sleek and stylish skinny cut, it’s a versatile pair that’s easy to coordinate. The wider design of UNIQLO Drape Mock Neck ¾ Sleeve Blouse offers a more relaxed feel perfect for your next roadtrip. This piece holds up after washing so you don’t have to worry about a wrinkled top while you lounge and unwind. UNIQLO Slim Boyfriend Fit Ankle Length Jeans has a roomy waist with tapered cut toward the cuffs for a streamlined style. Made from Kaihara denim, these jeans feature a soft and light feel for ultimate comfort. With hem slits that add accent to a deep neckline, the Women’s Drape V-Neck Sleeveless Blouse is a fitting choice for any catch-up session with friends. Featuring a high rise and a wide leg, the Women’s High Rise Wide Fit Jeans are fitting for women who like to look polished and trendy at the same time. The Women’s Drape Short Sleeve T-Shirt is designed with a soft feminine drape. Dolman sleeves create a relaxed, feminine style while its versatile and solid design make it an ideal pairing piece.